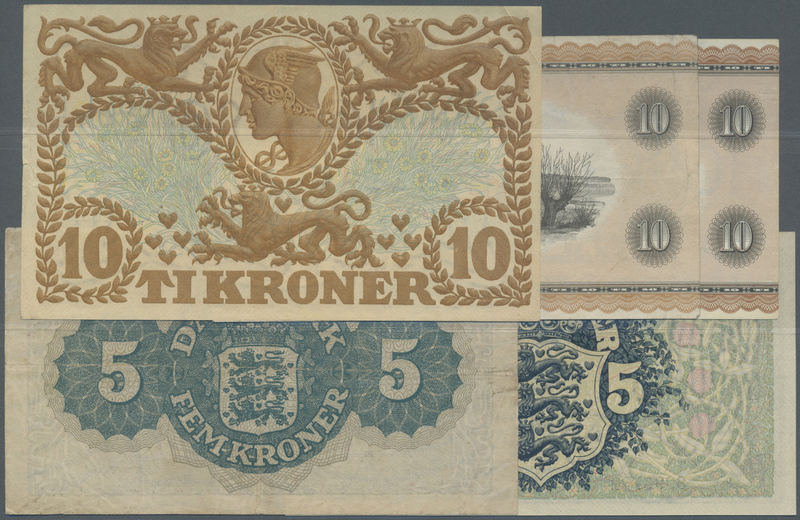 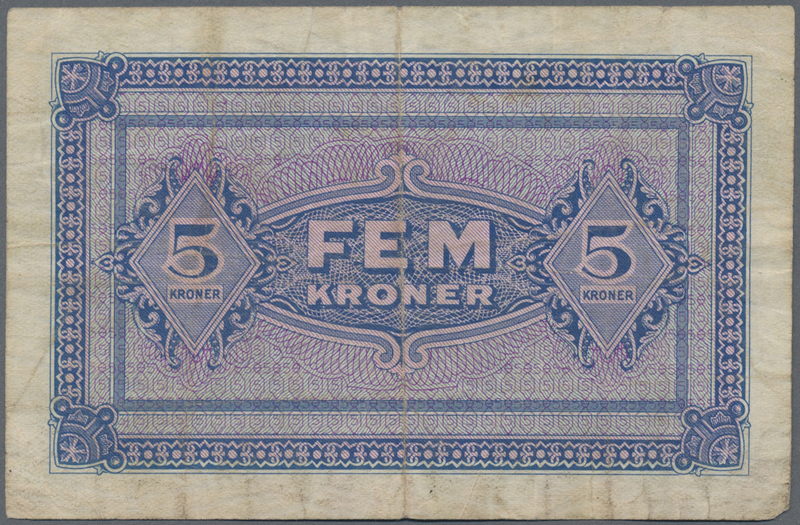 1331 Pick 35s 5 Kroner 1949 Specimen P. 35s, in condition: XF+. 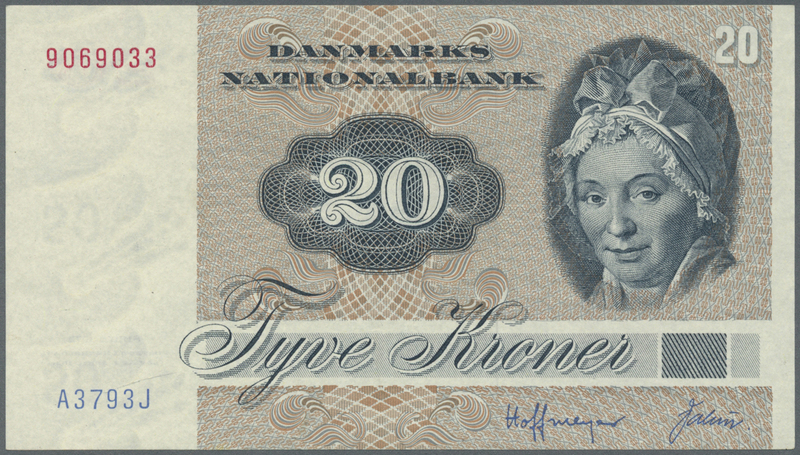 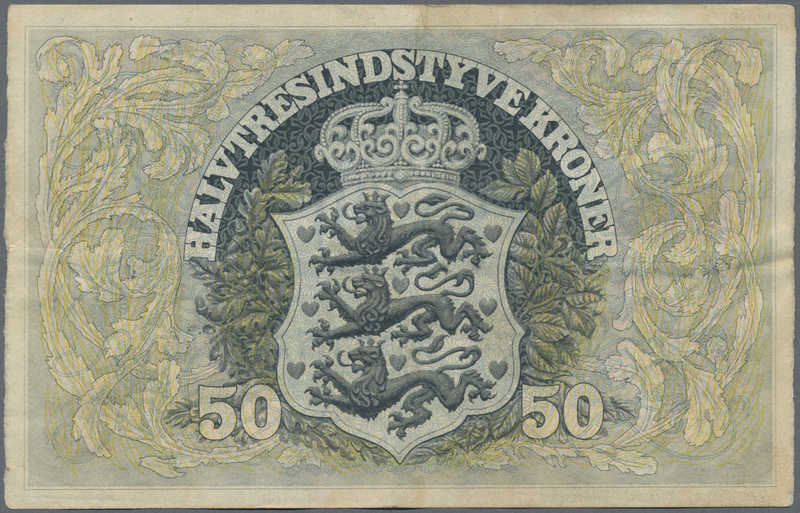 1332 Pick 52d 500 Kroner 1988 P. 52d, lightly used with center fold, probably pressed, no holes or tears, still strongness in paper and original colors, condition: pressed XF. 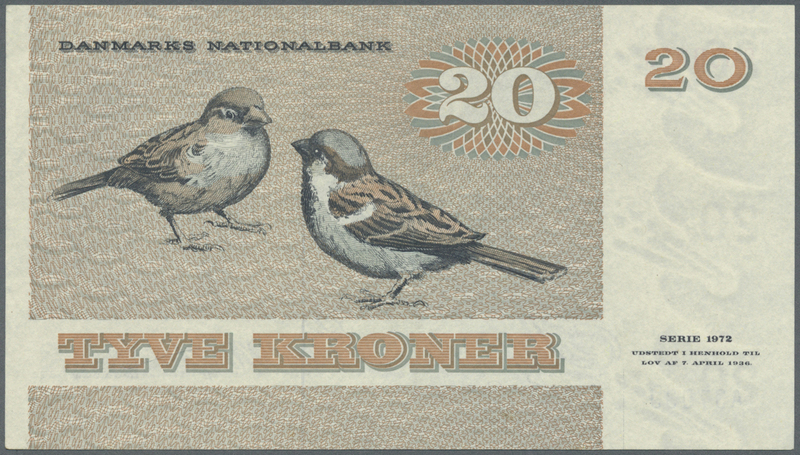 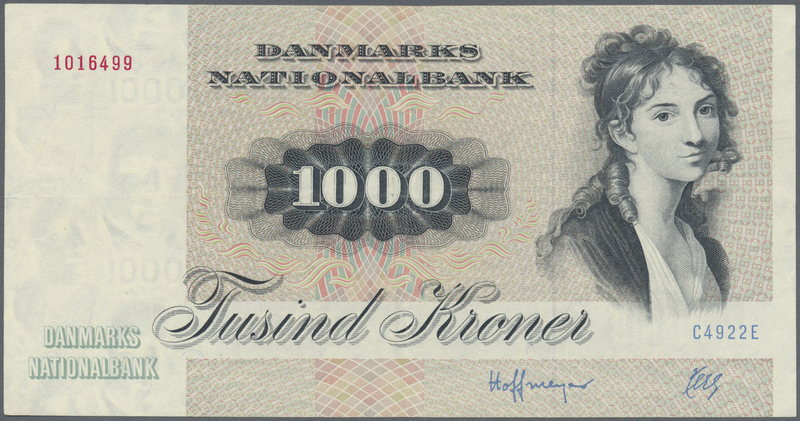 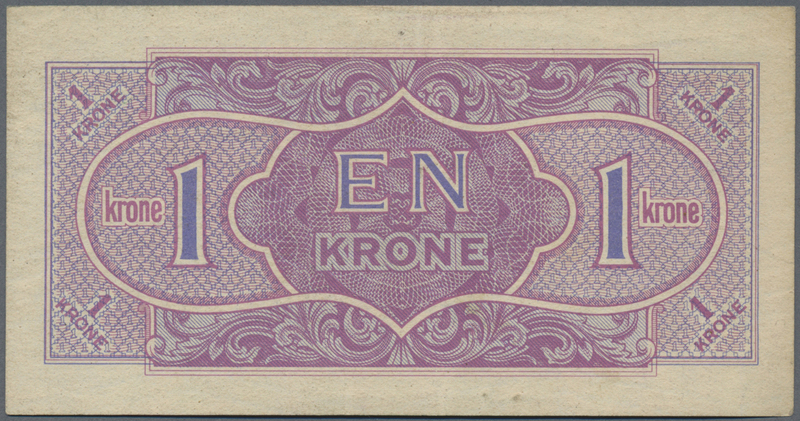 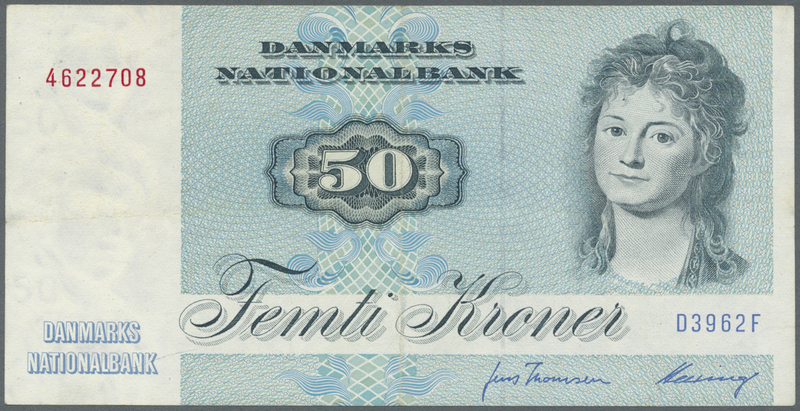 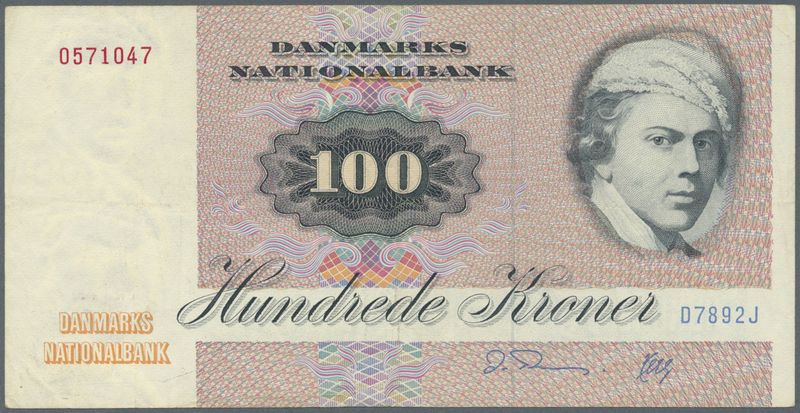 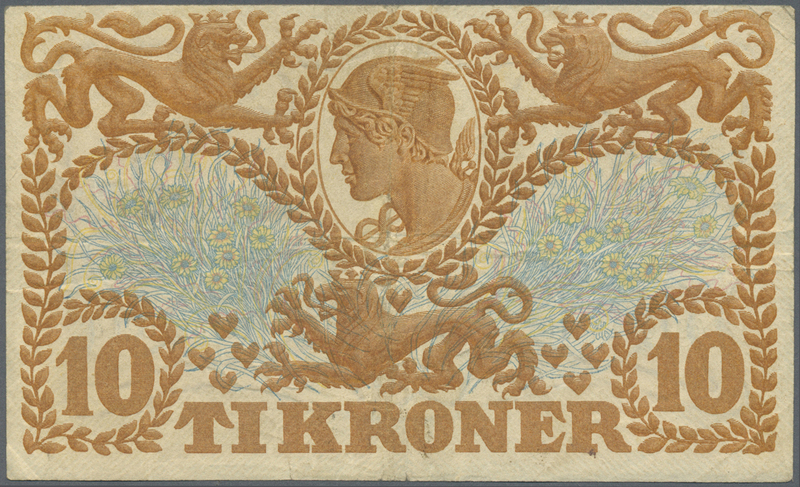 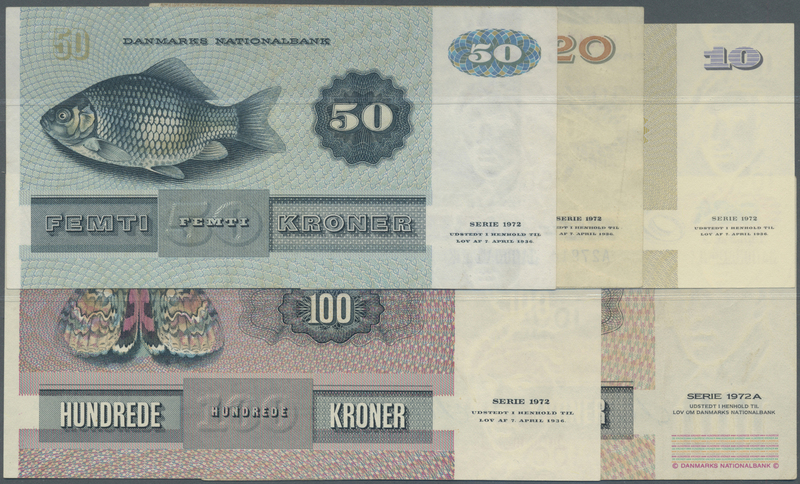 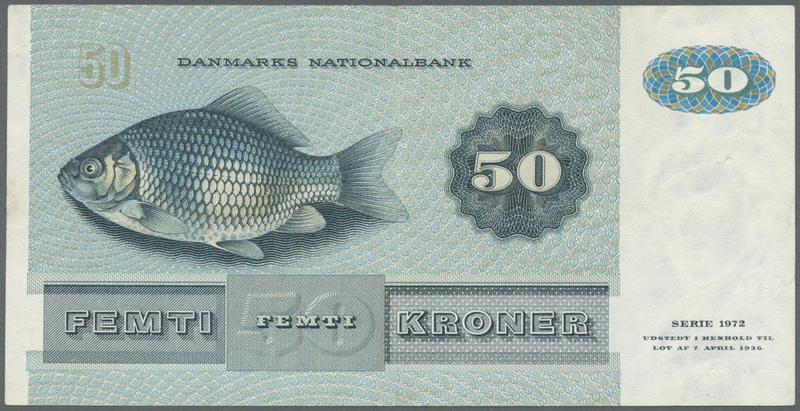 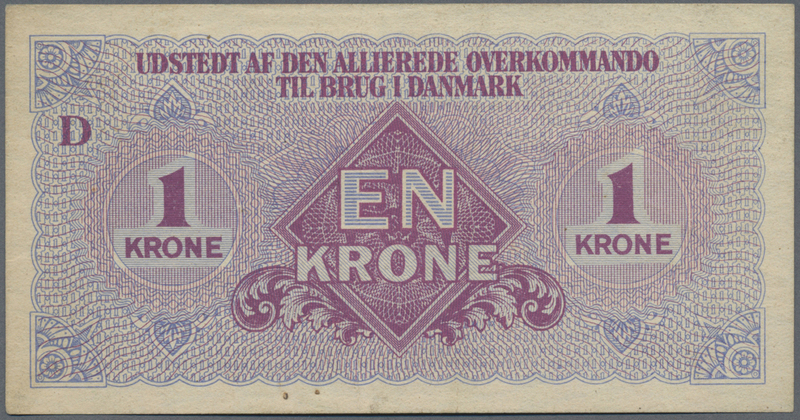 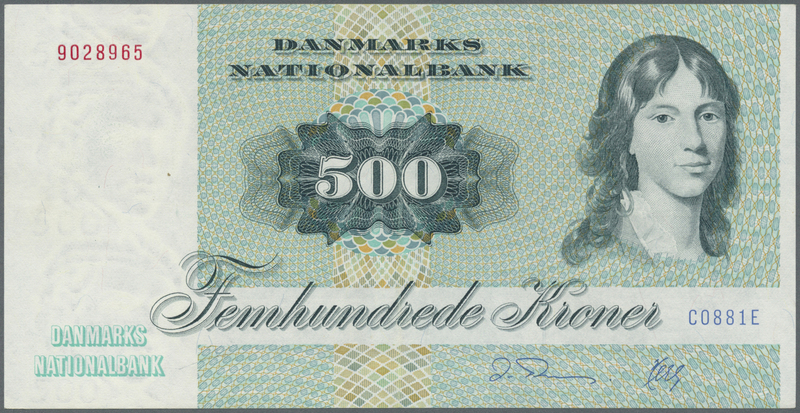 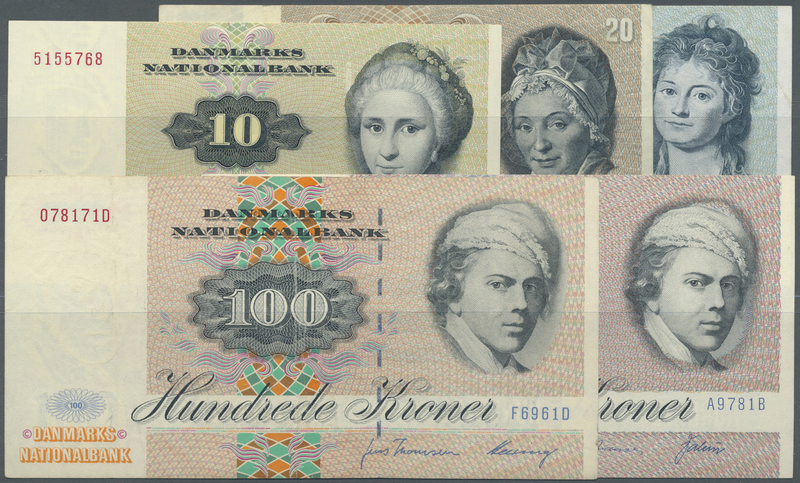 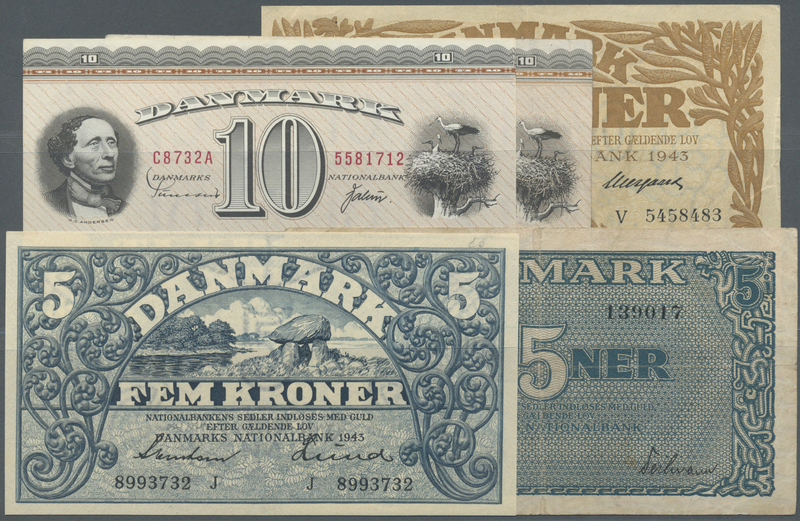 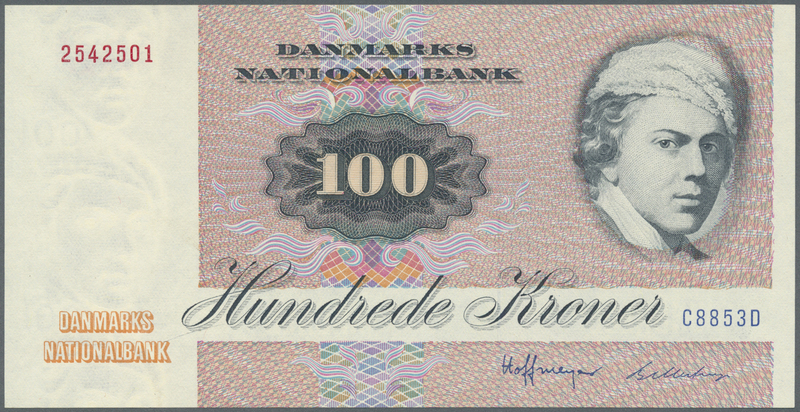 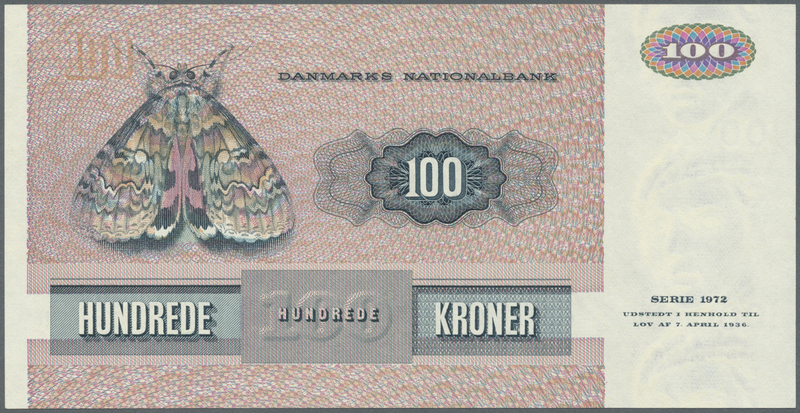 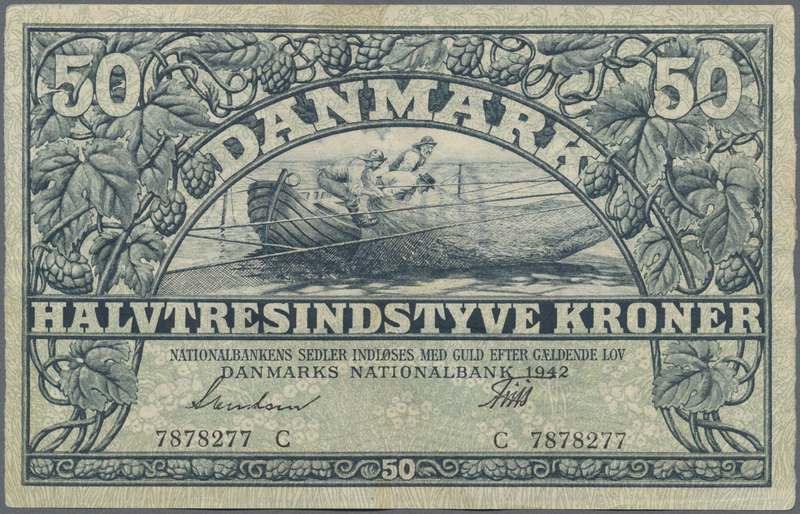 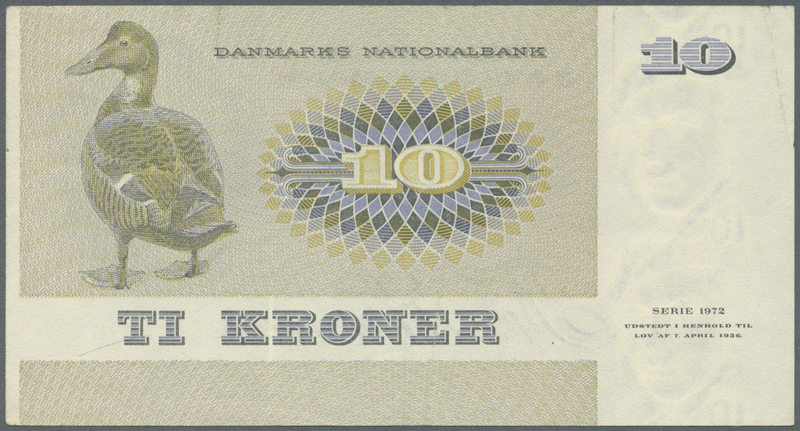 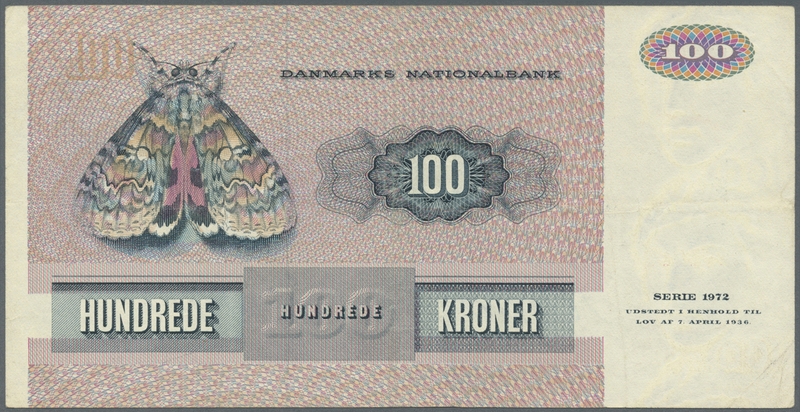 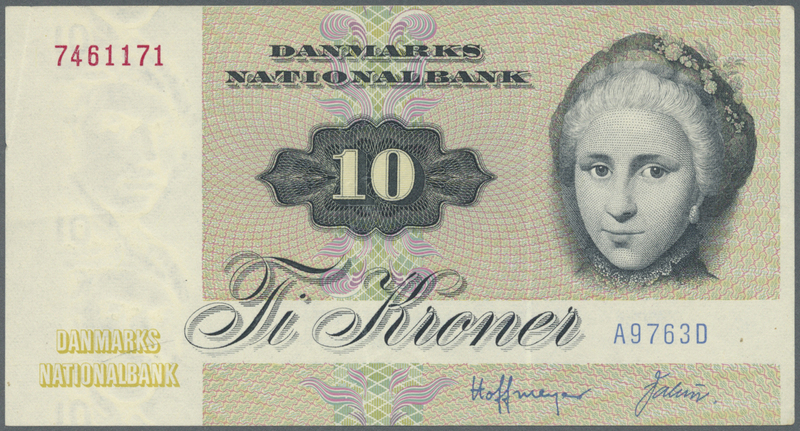 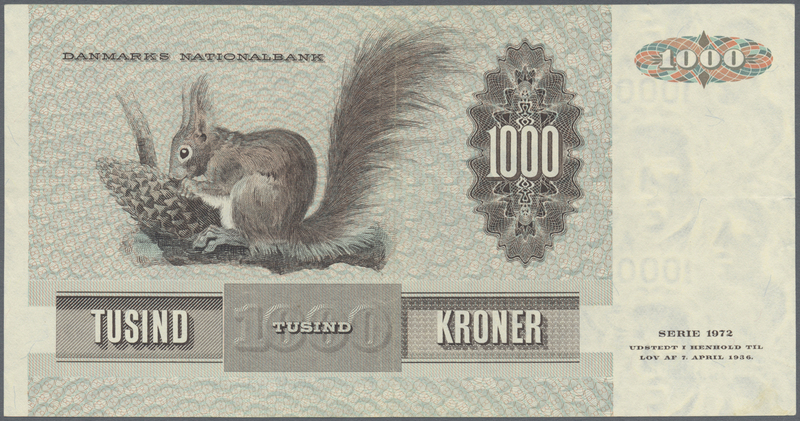 1333 Pick 53 1000 Kroner 1992 P. 53, used with center fold, pressed but strong paper and original colors, no holes or tears, condition: pressed VF+ to XF-. 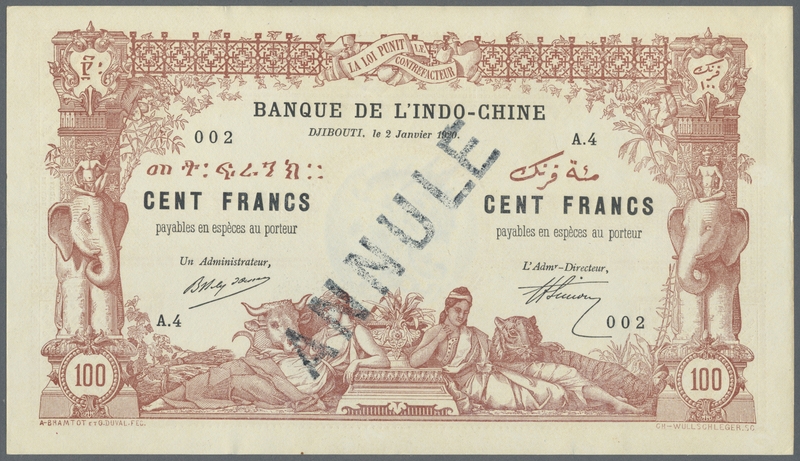 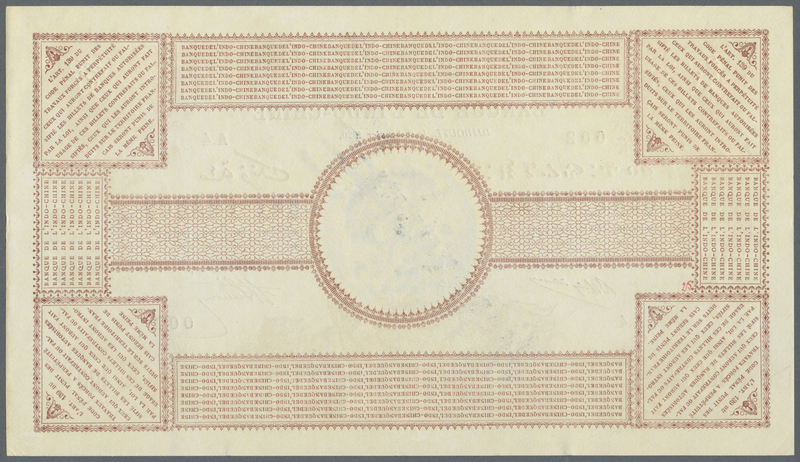 1341 Pick 16p 100 Francs ND(1945) PROOF of P. 16p, a highly rare and rarely offered pair of proof prints (front and back seperatly printed on banknote paper) without signatures and date, higher value of the famous and very searched "Palestine Print" notes that were issued for a very short term in French Somaliland. 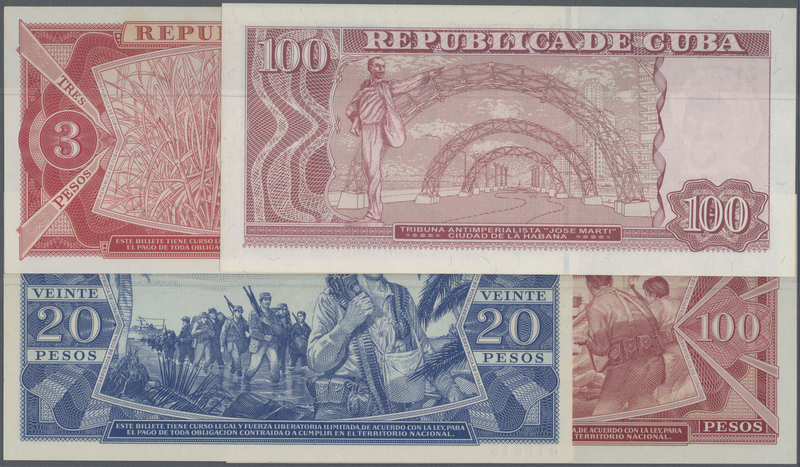 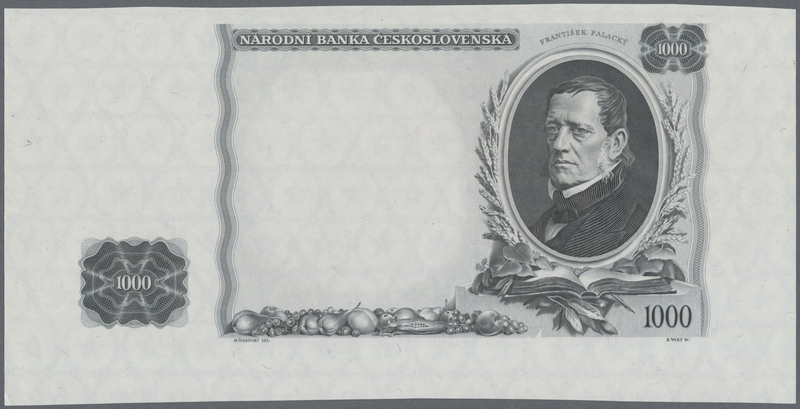 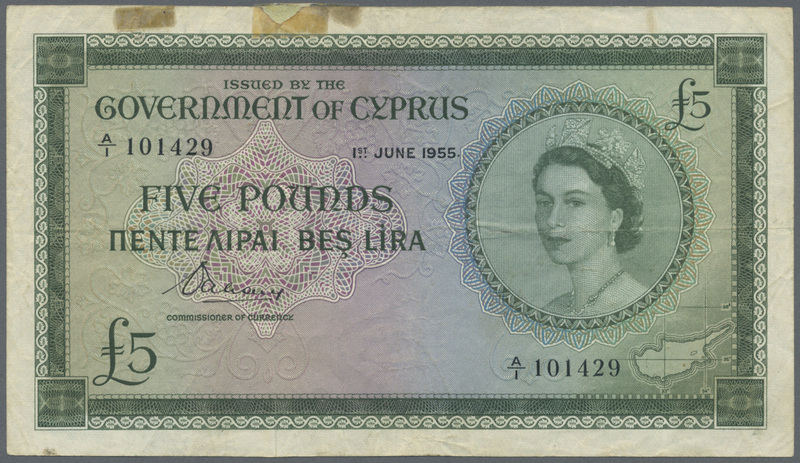 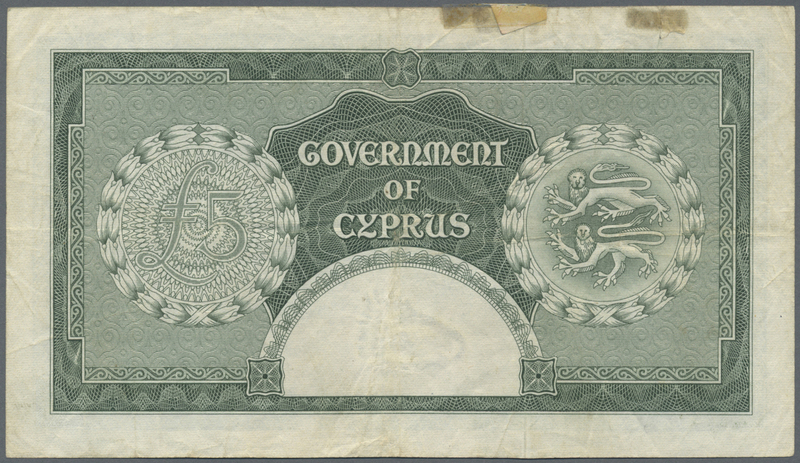 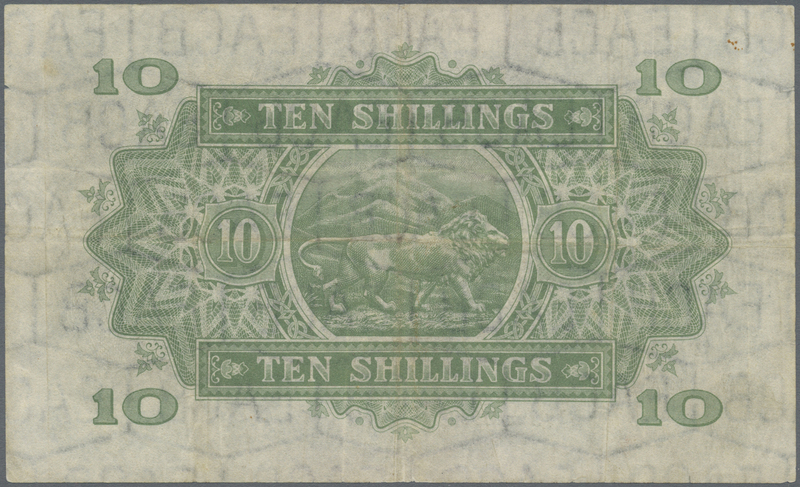 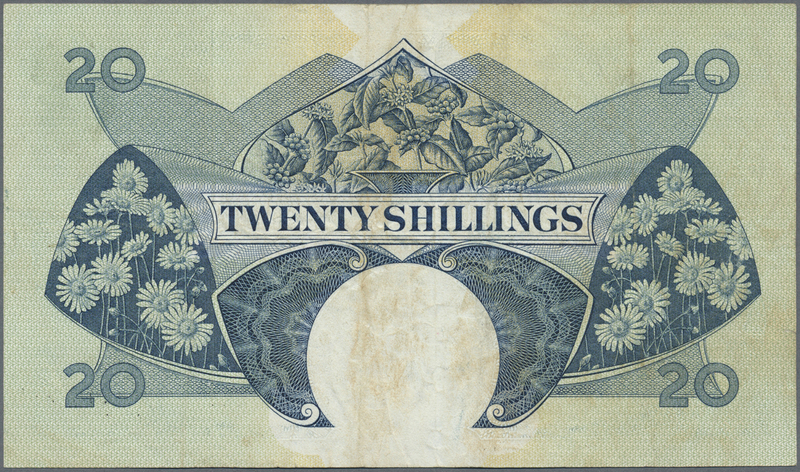 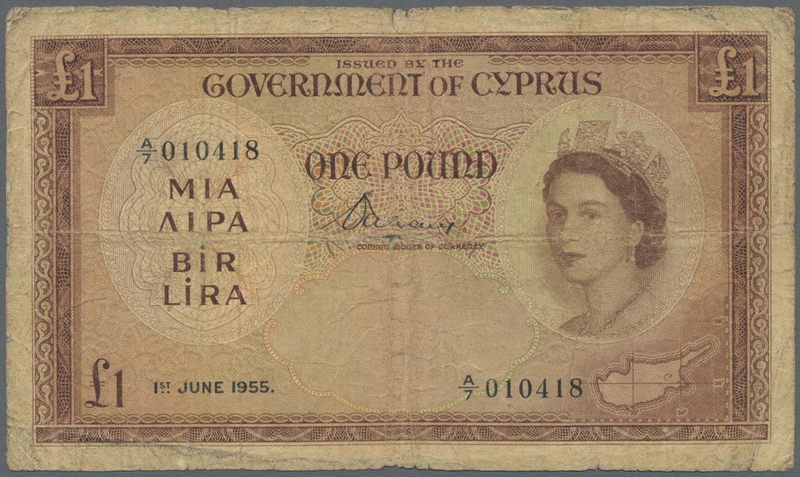 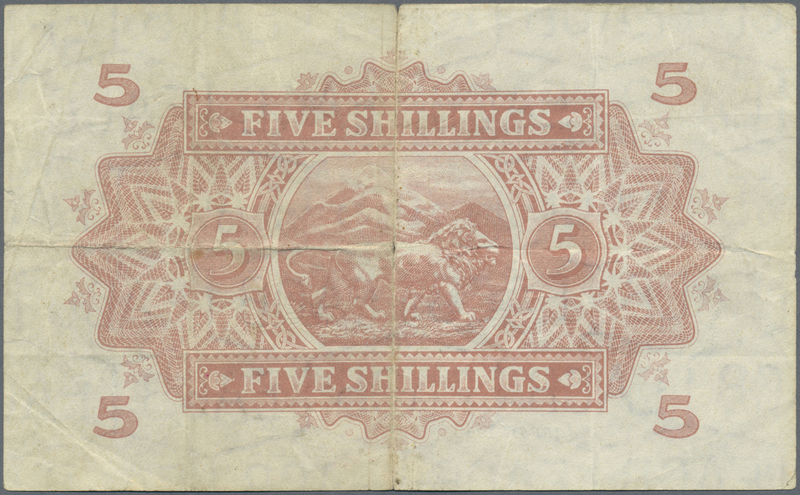 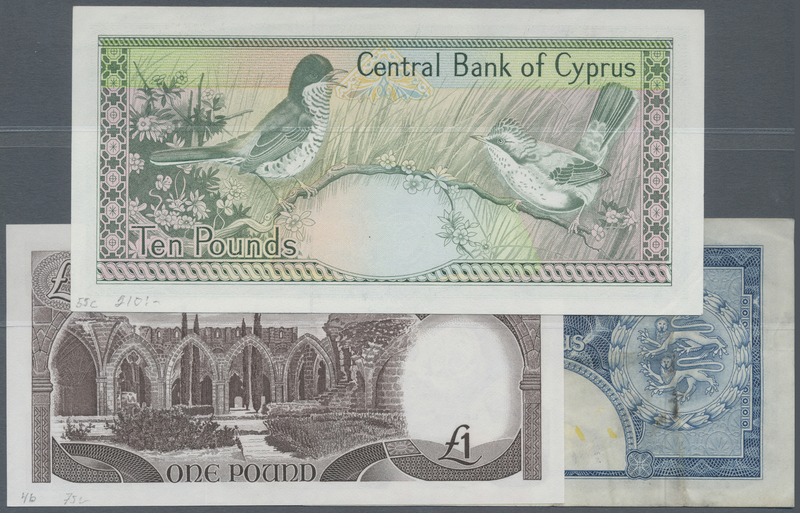 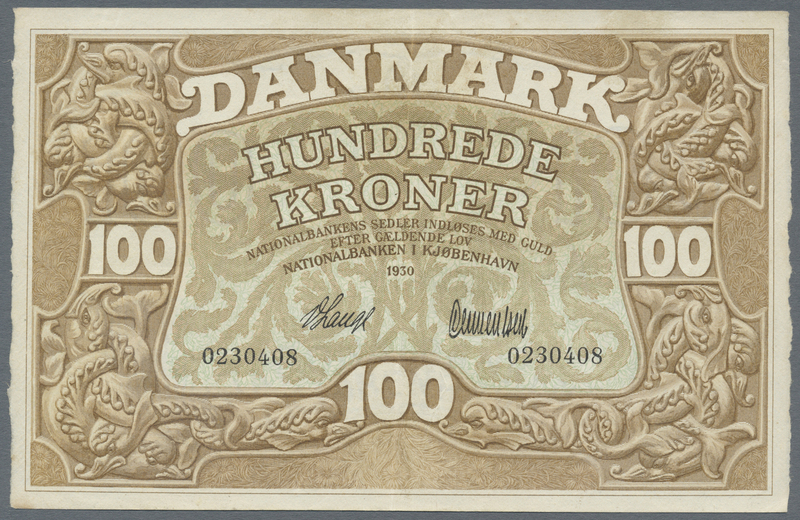 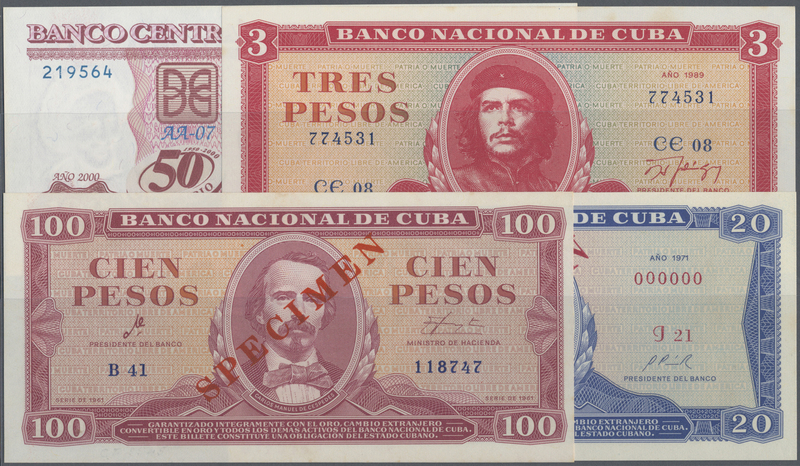 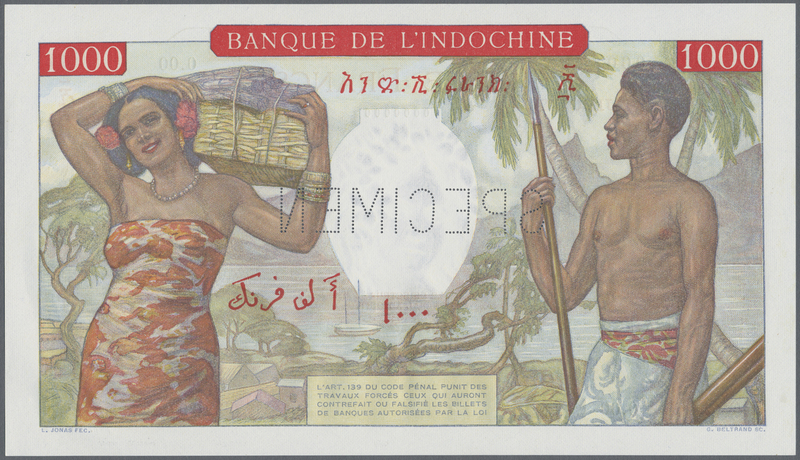 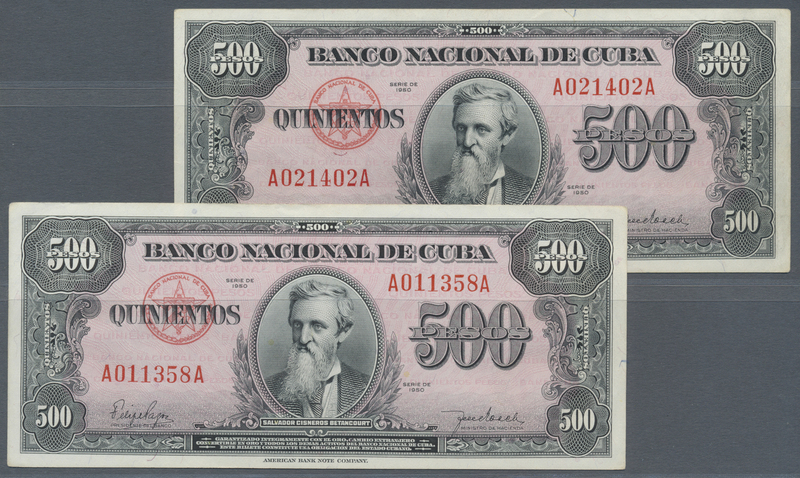 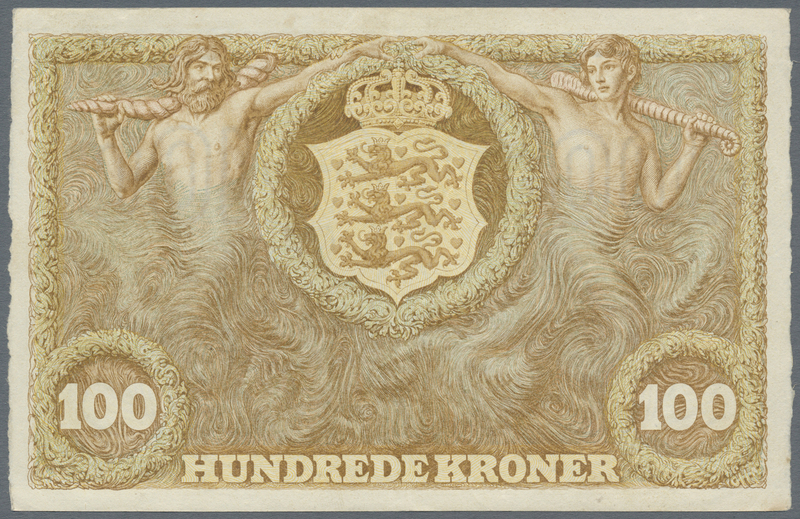 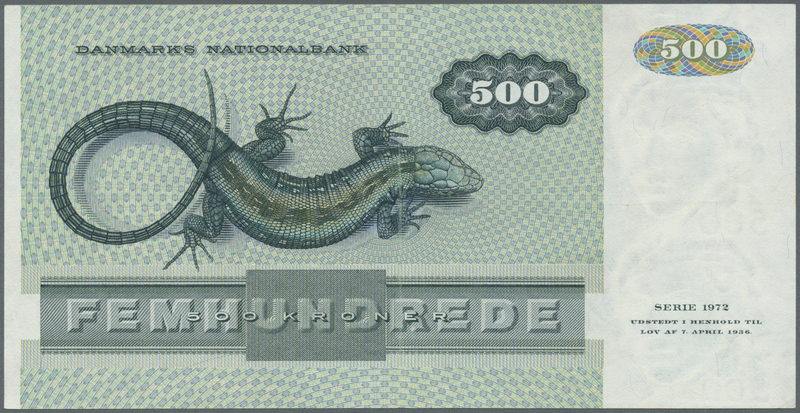 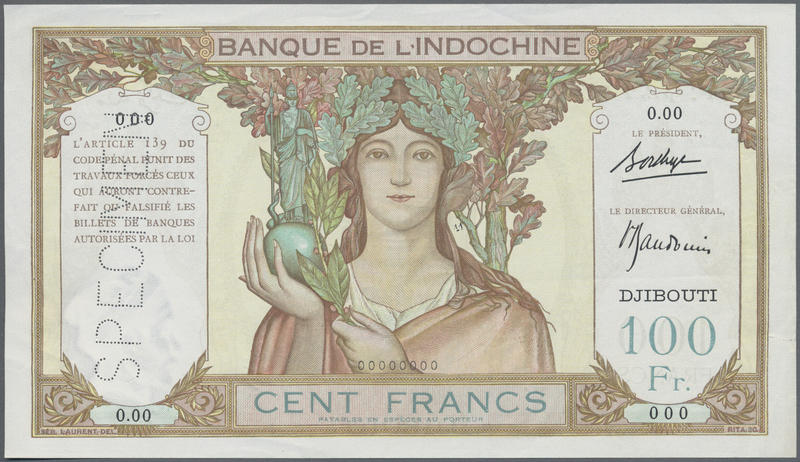 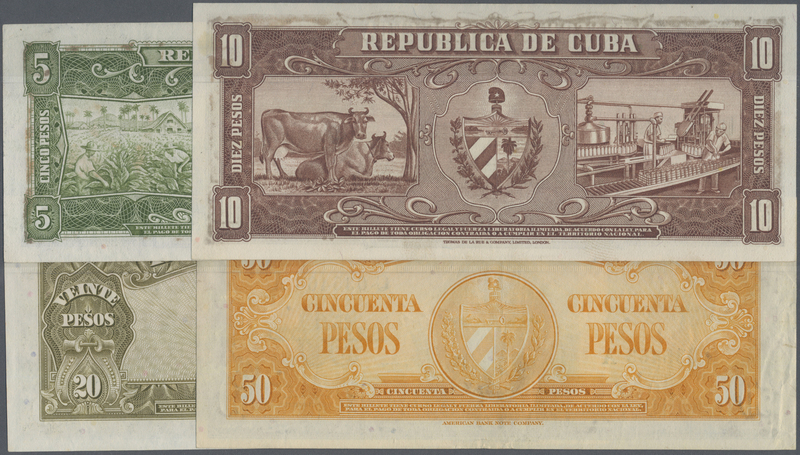 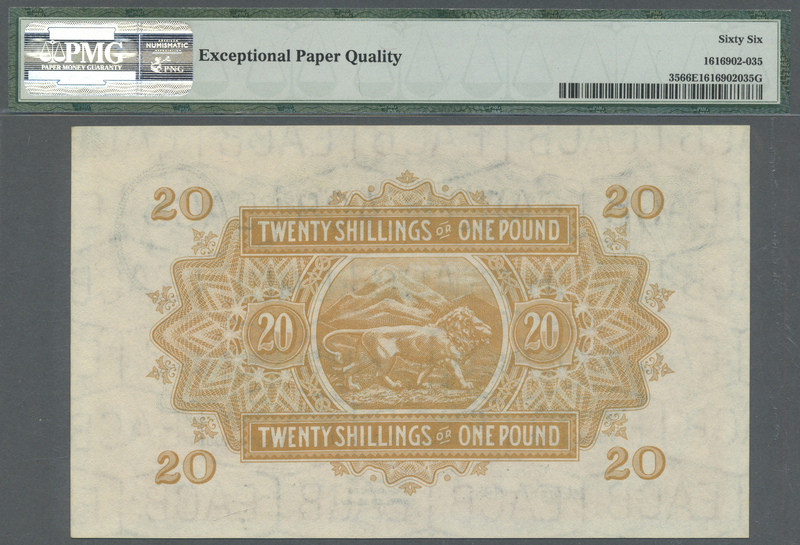 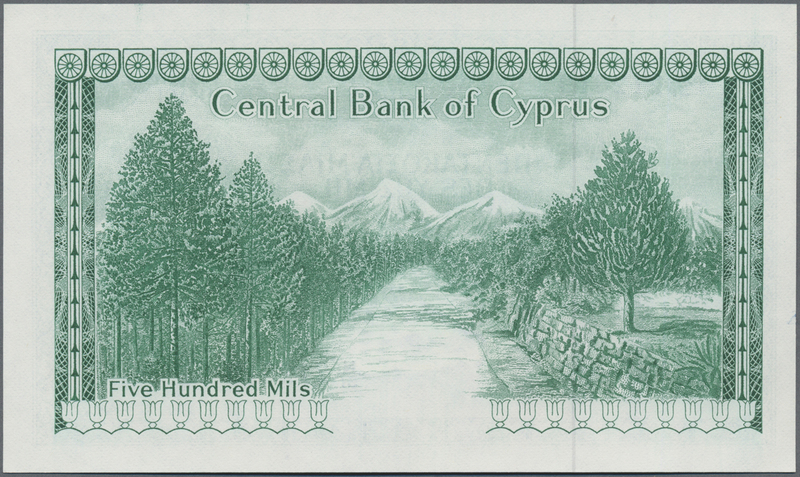 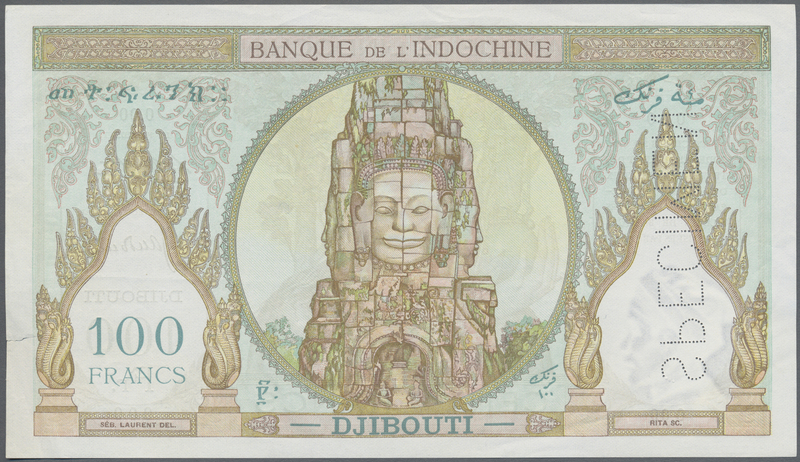 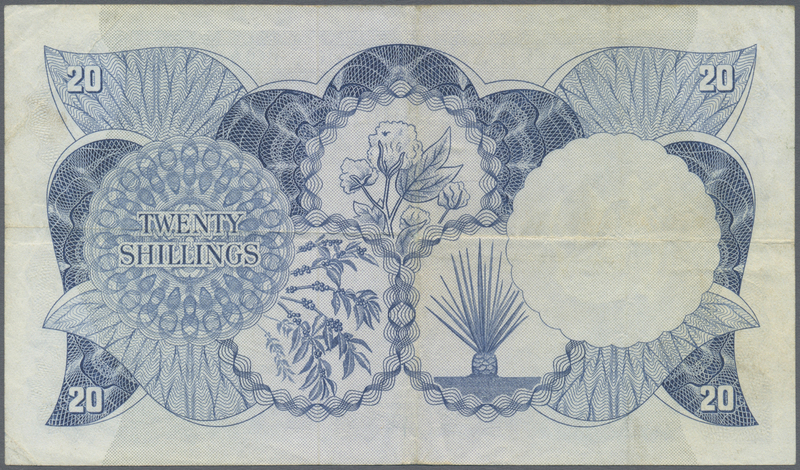 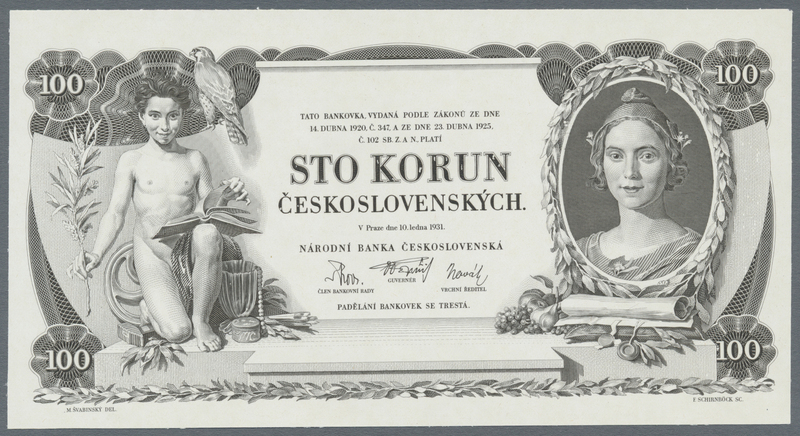 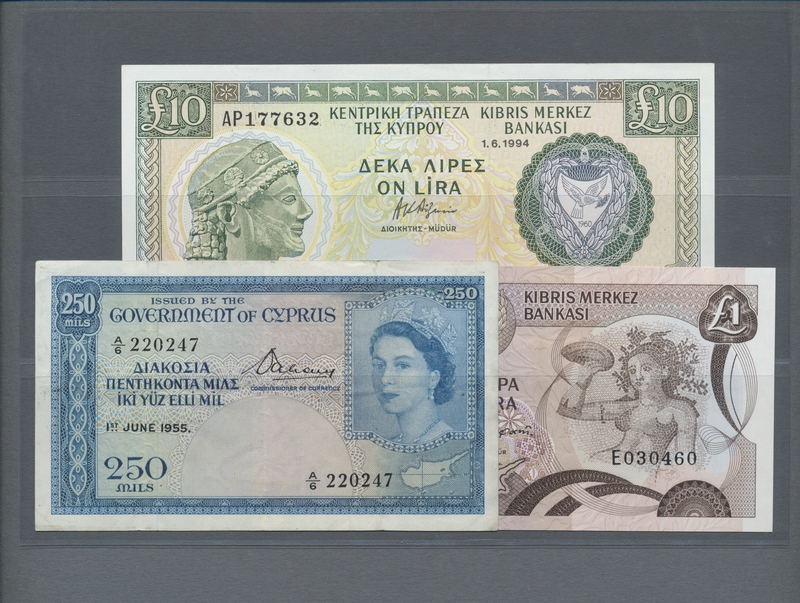 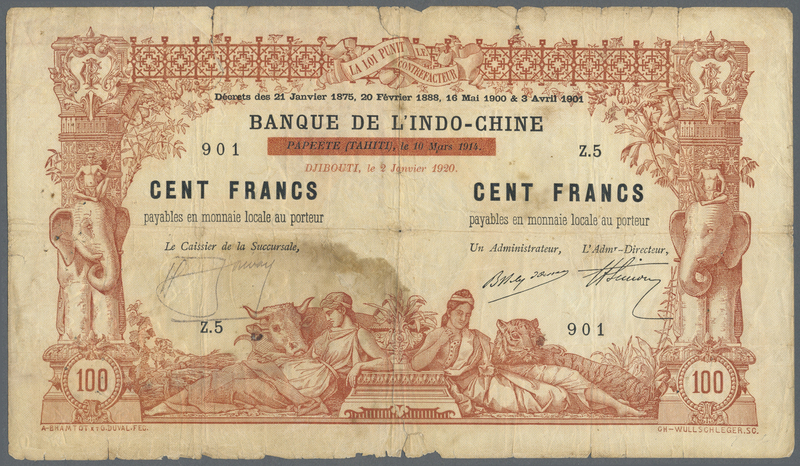 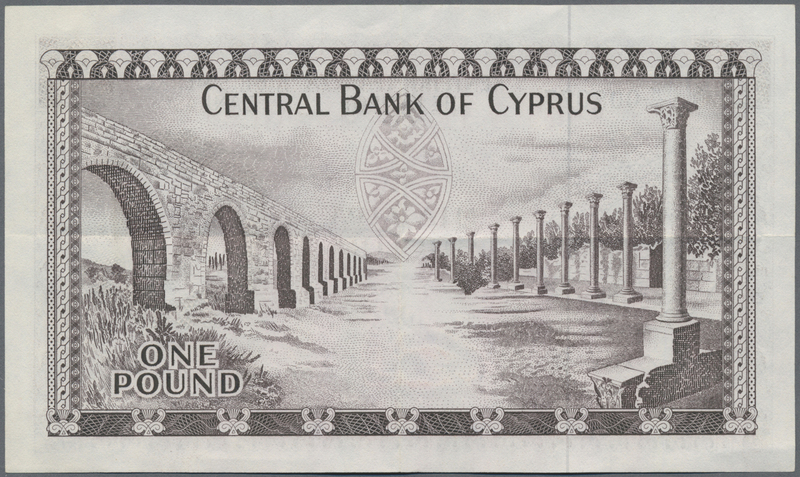 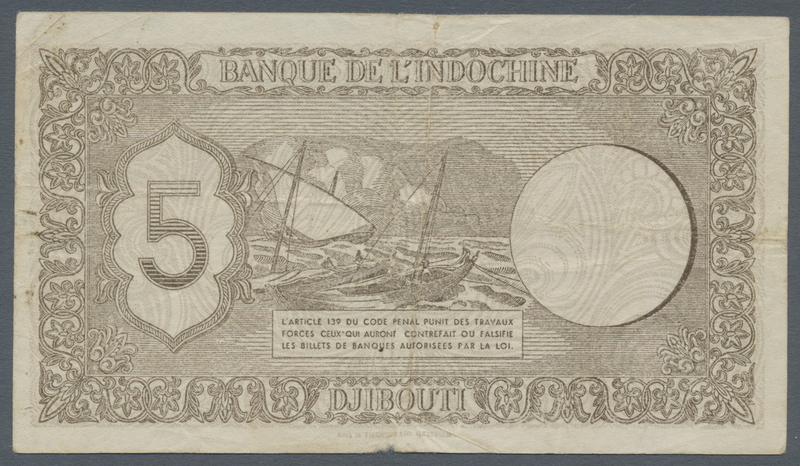 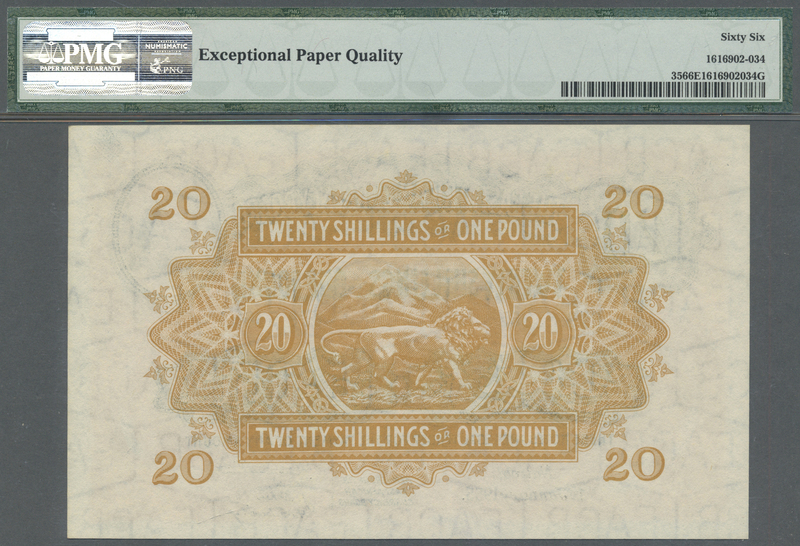 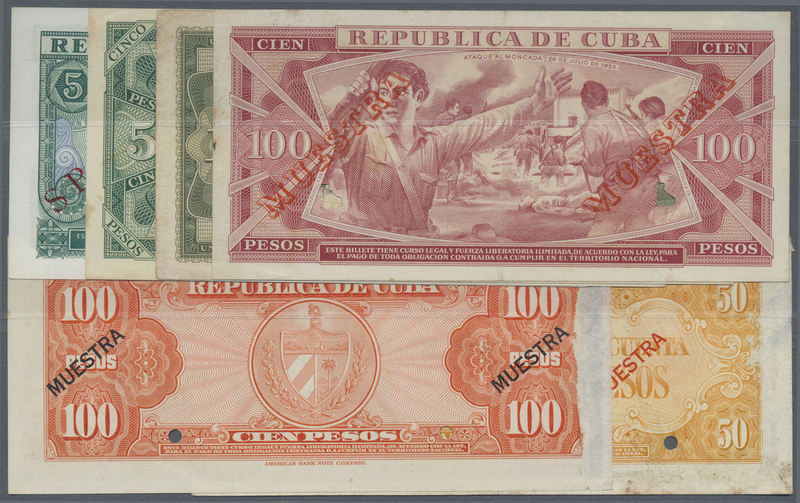 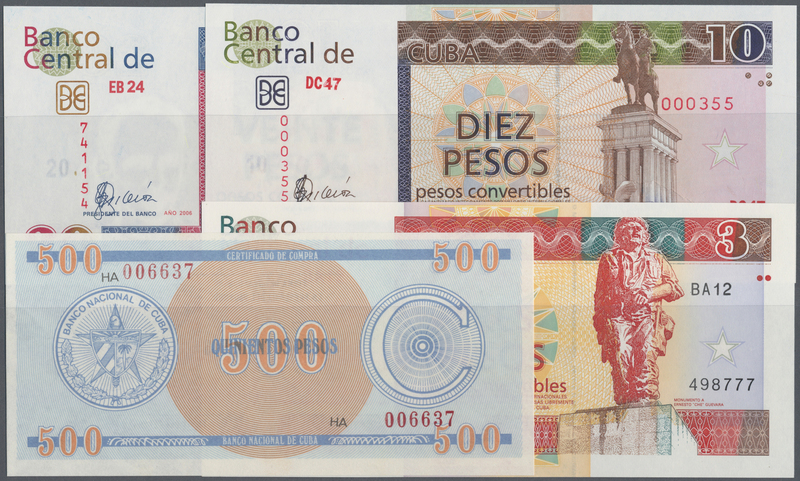 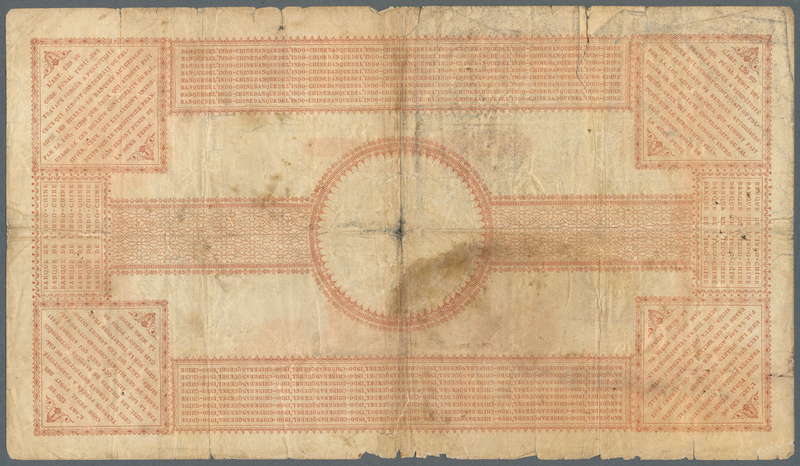 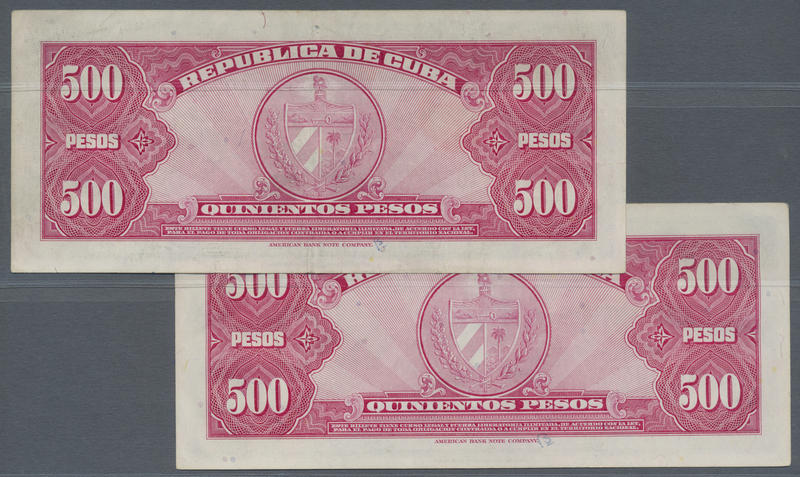 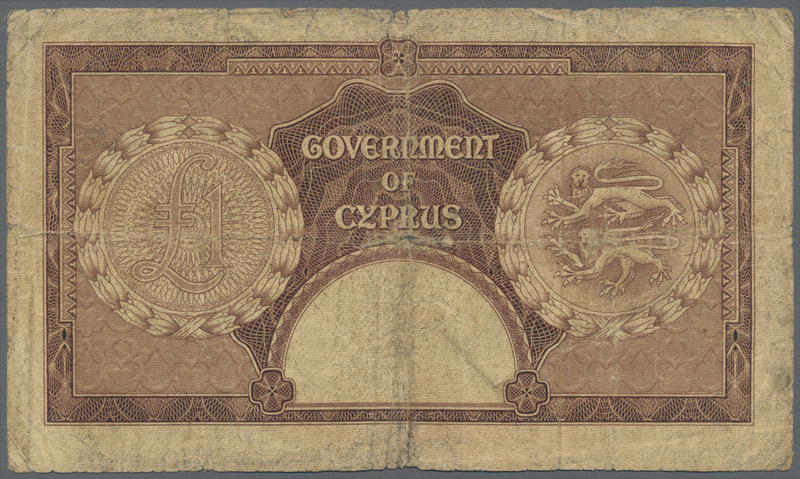 There are only 2 Proofs of this type existing on the banknotes market. 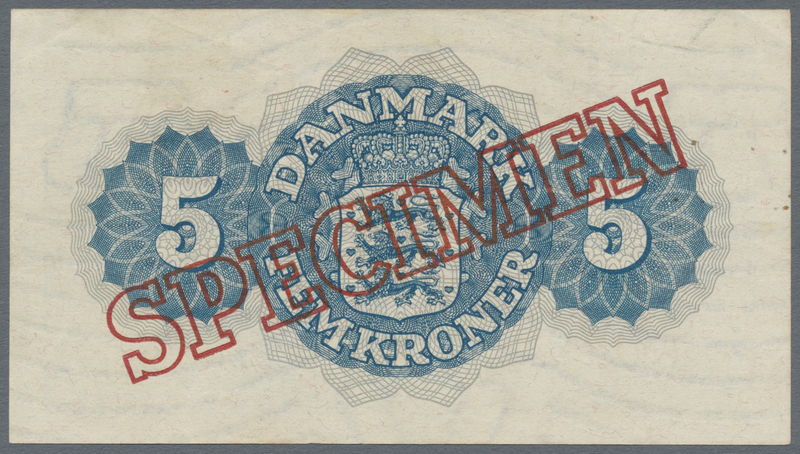 This one is in exceptional condition without and damages, great crisp and colorful. 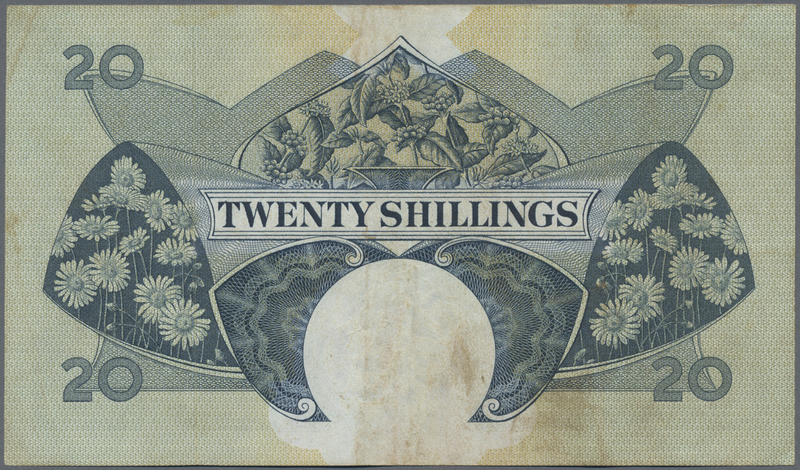 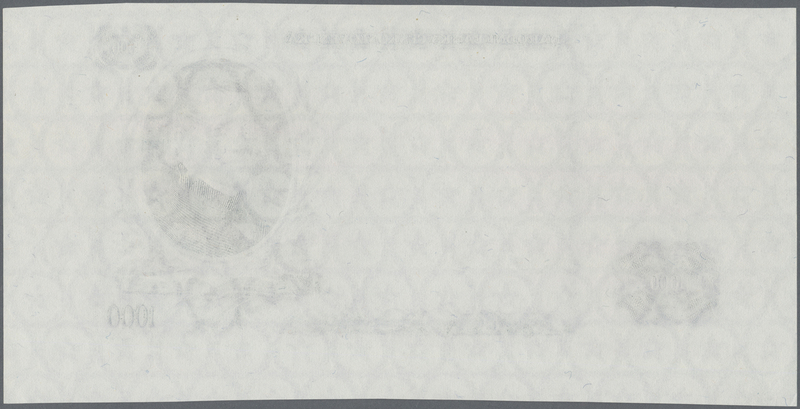 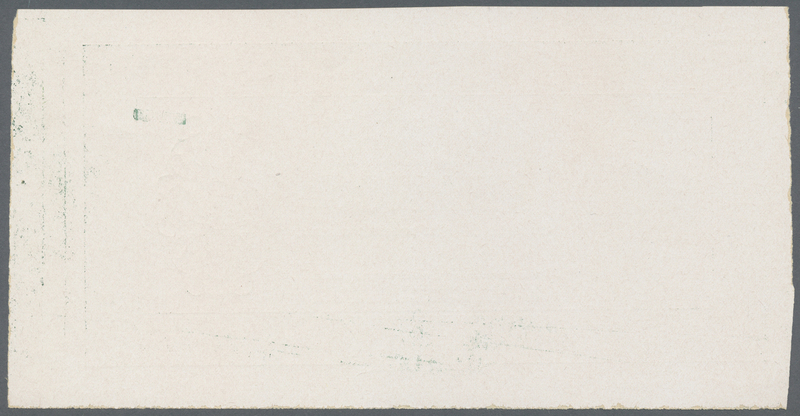 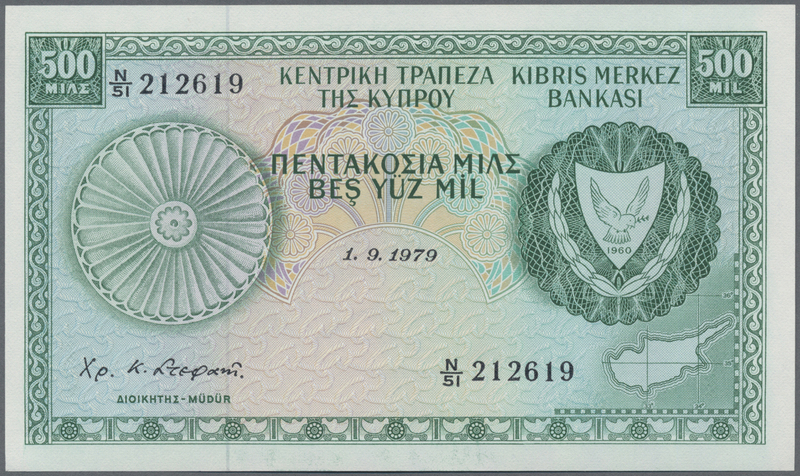 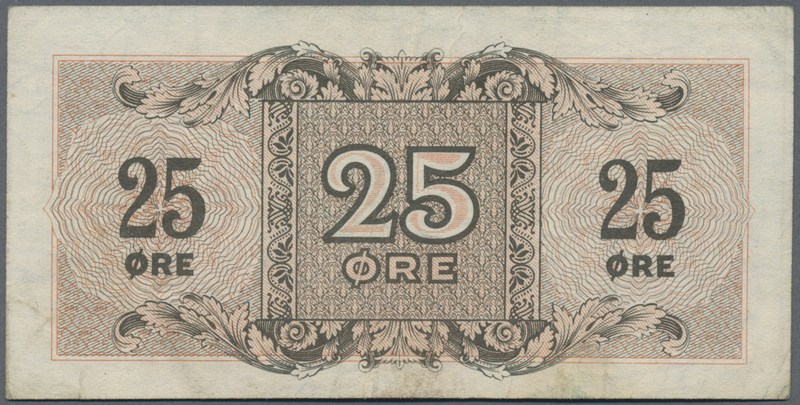 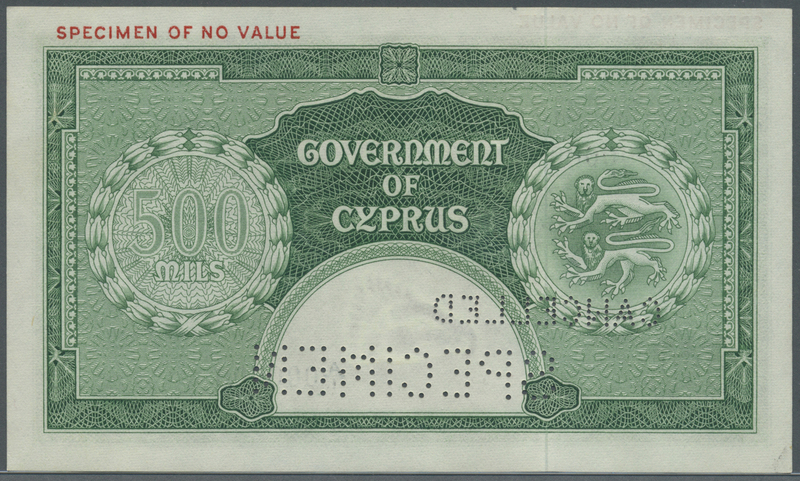 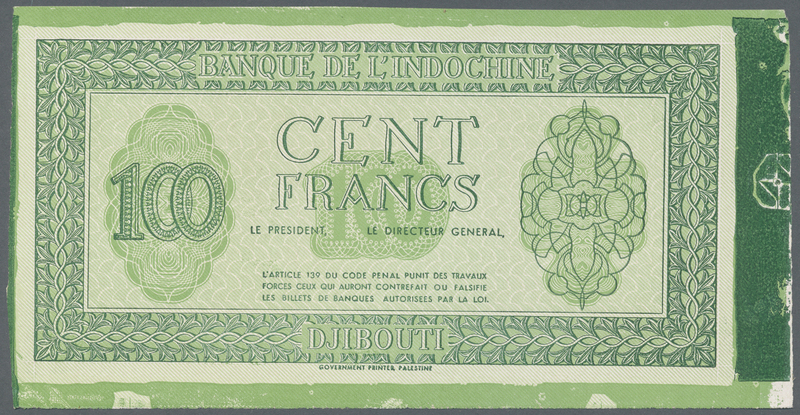 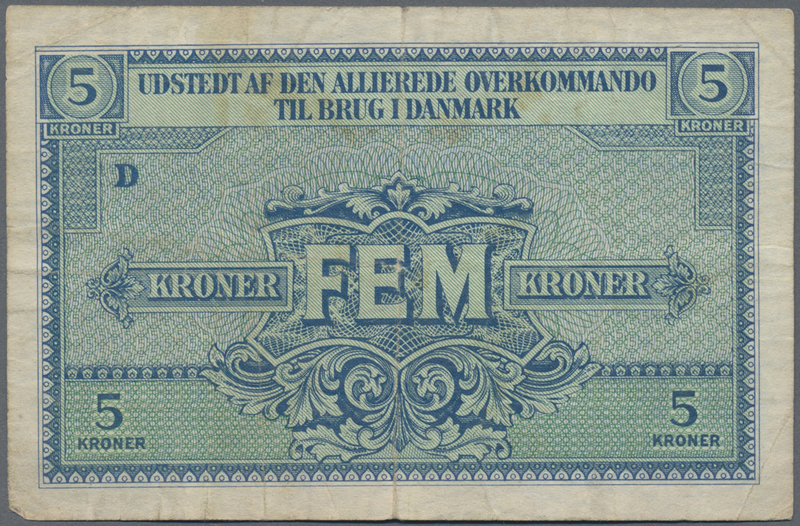 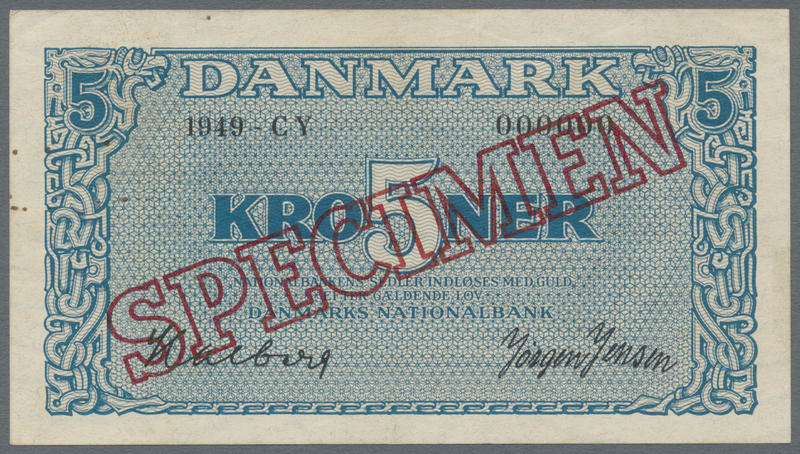 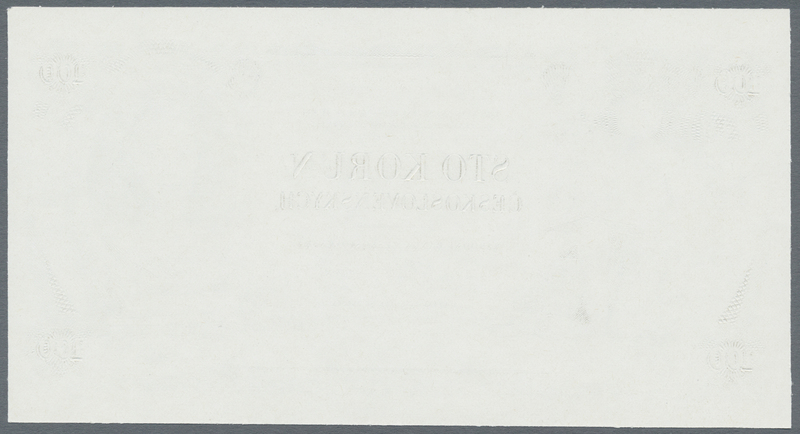 The note has large margins with additional ink residuals (probably caused by printing with a single plate) as "security designers" proof for examination and was not printed on a sheet. 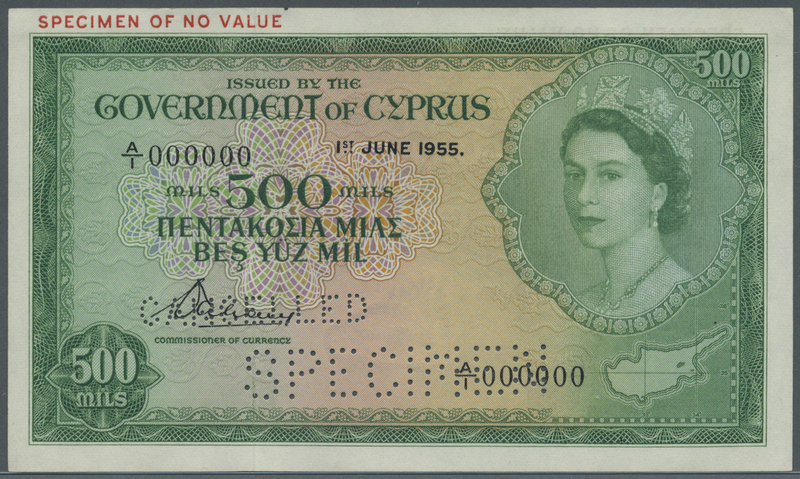 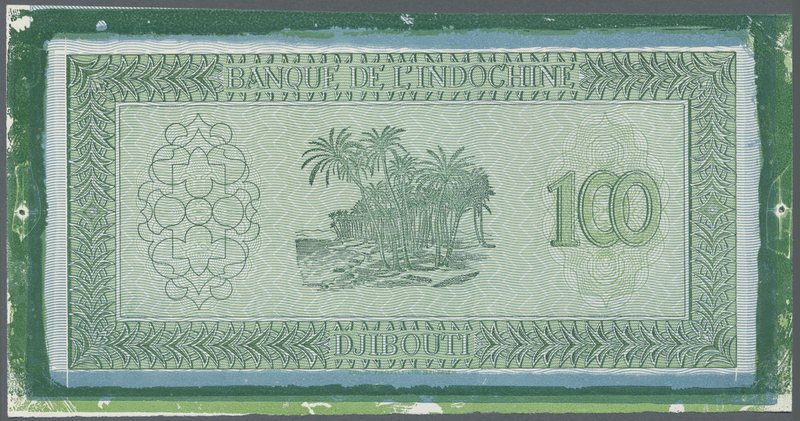 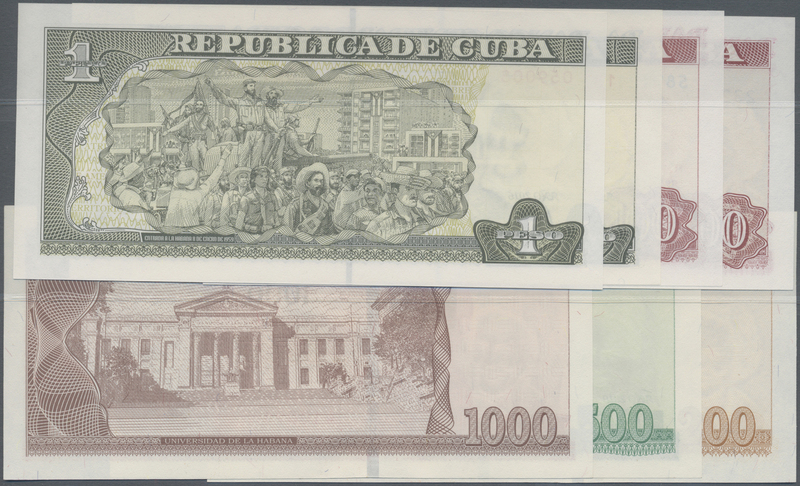 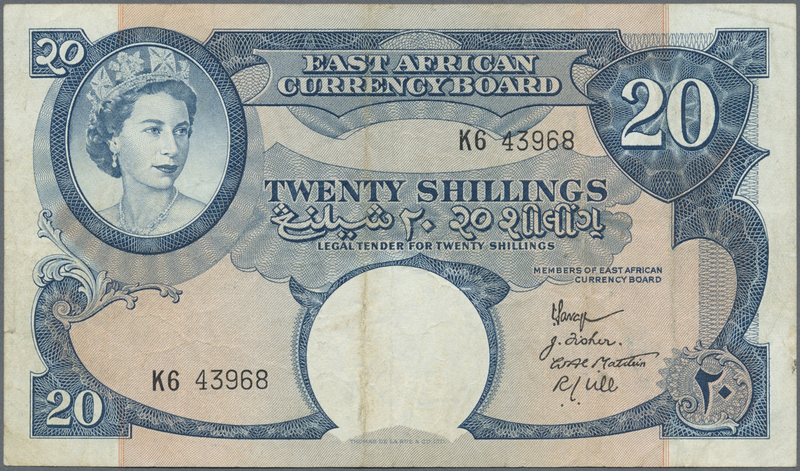 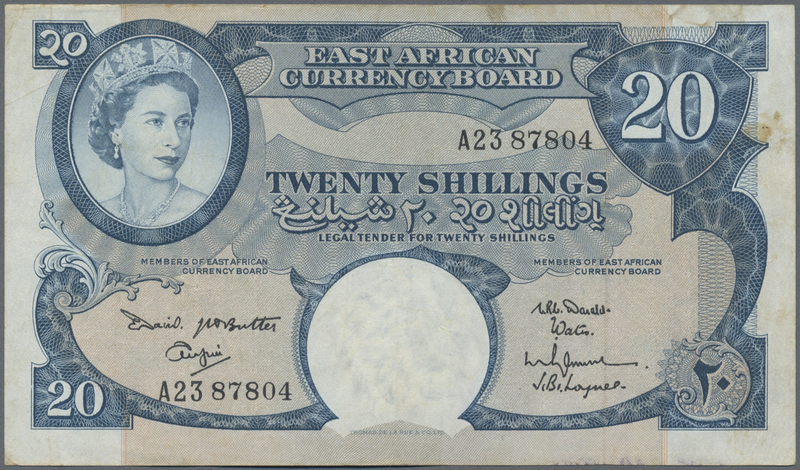 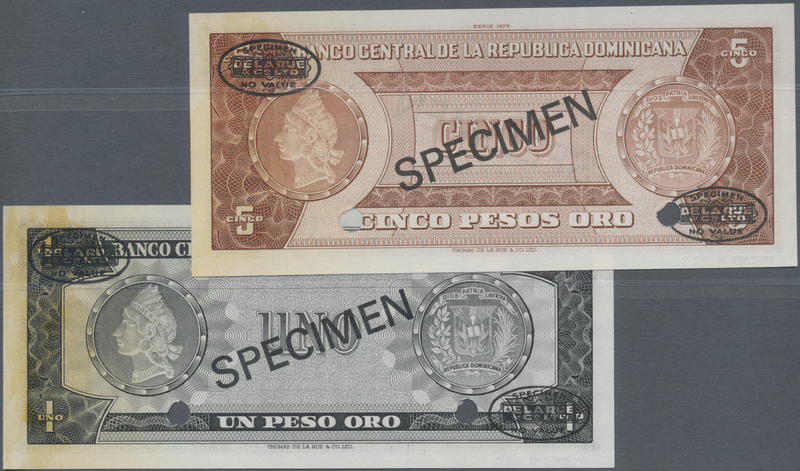 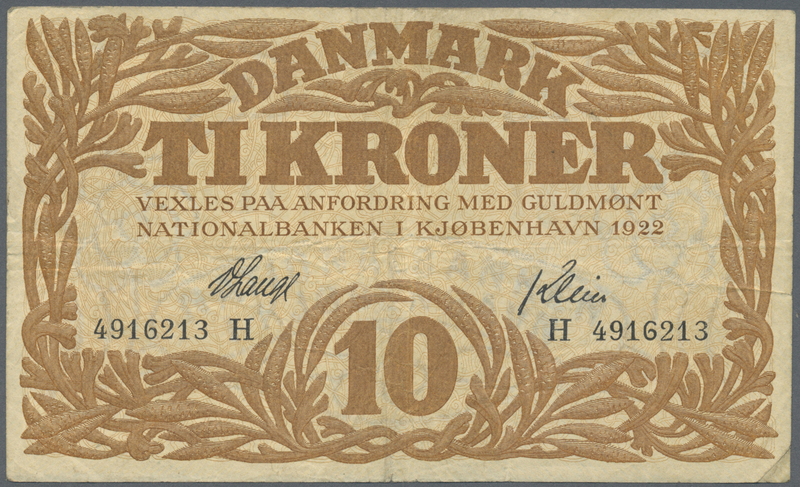 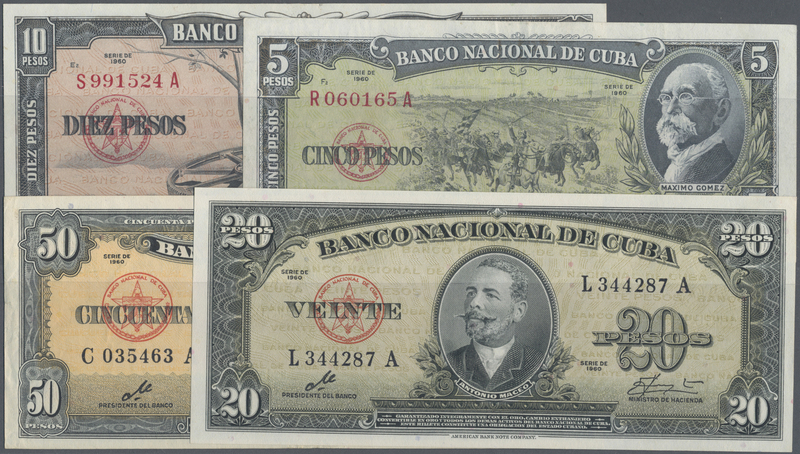 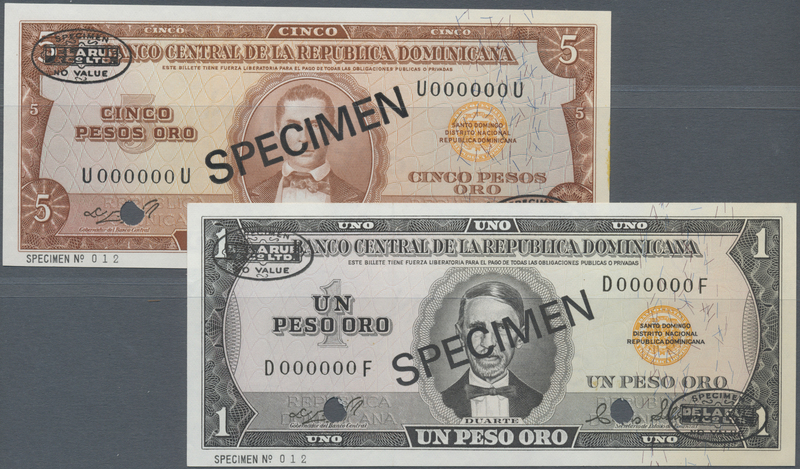 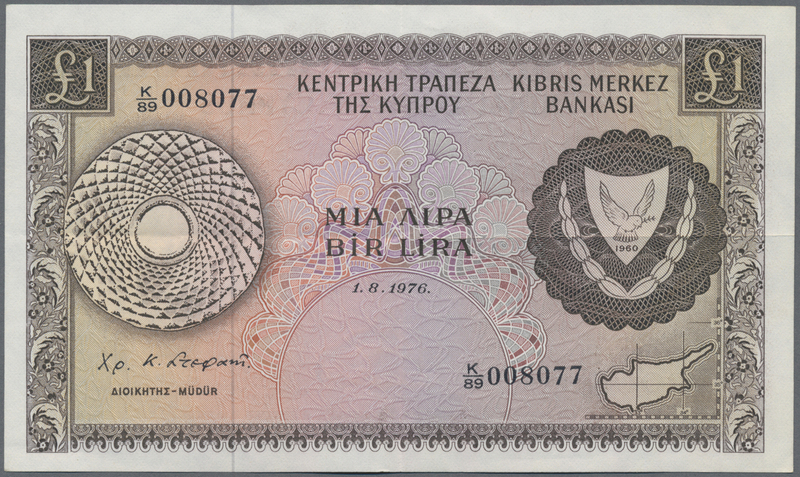 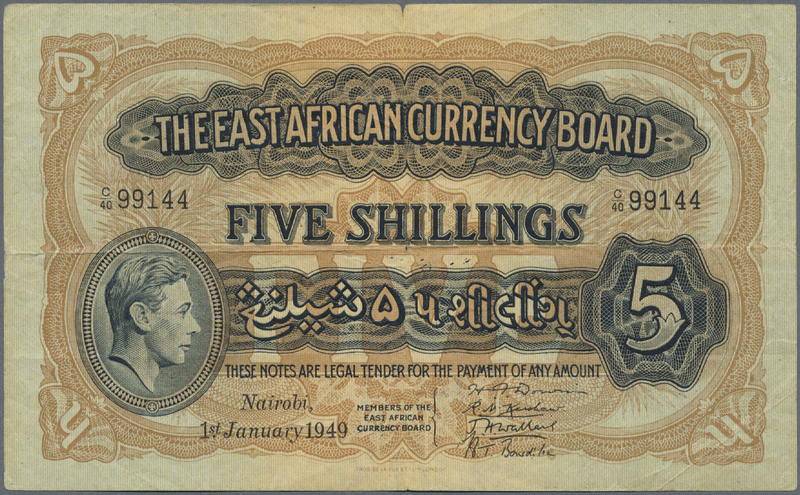 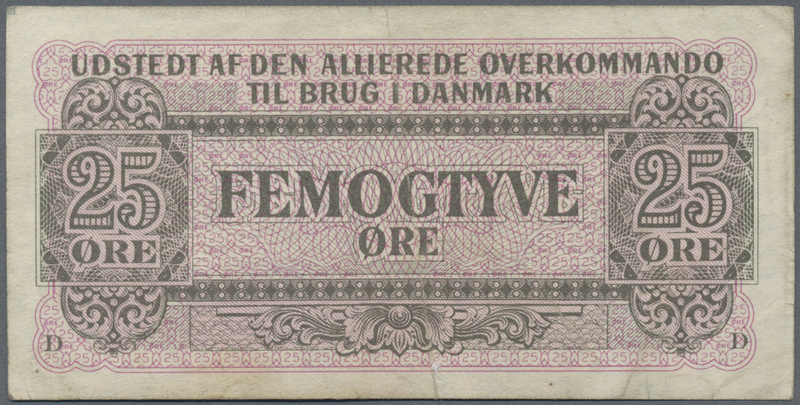 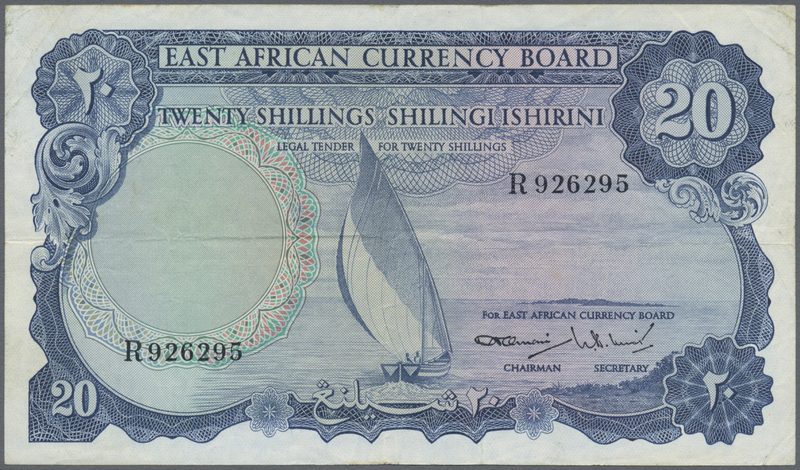 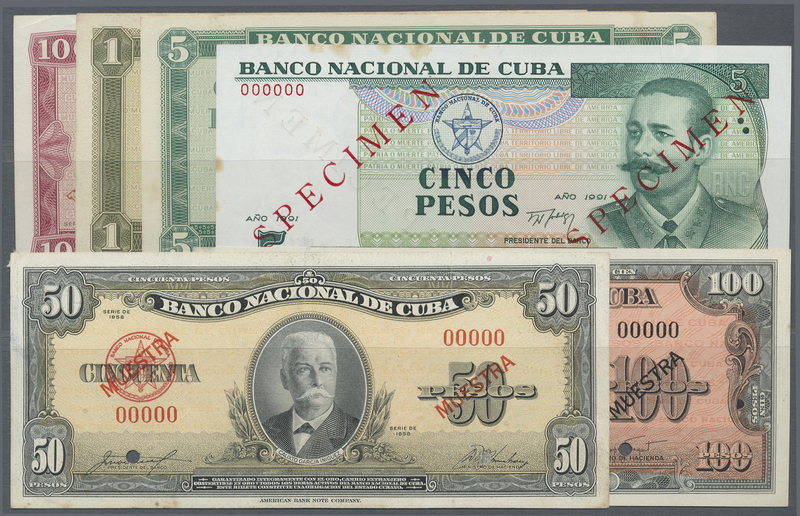 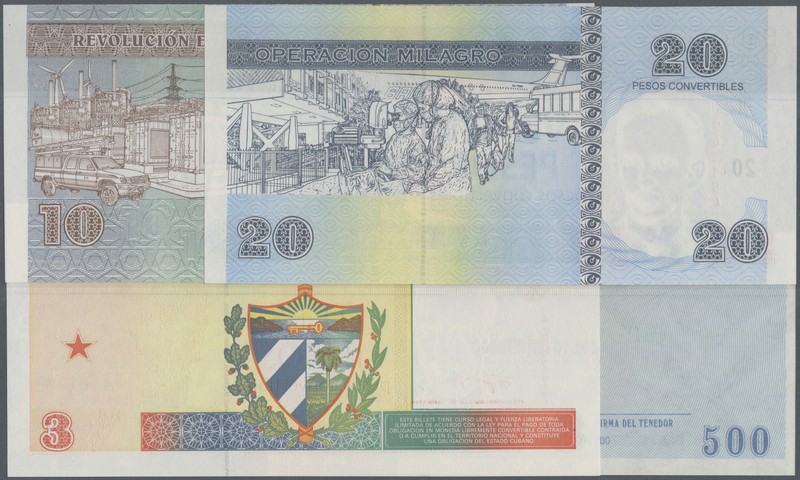 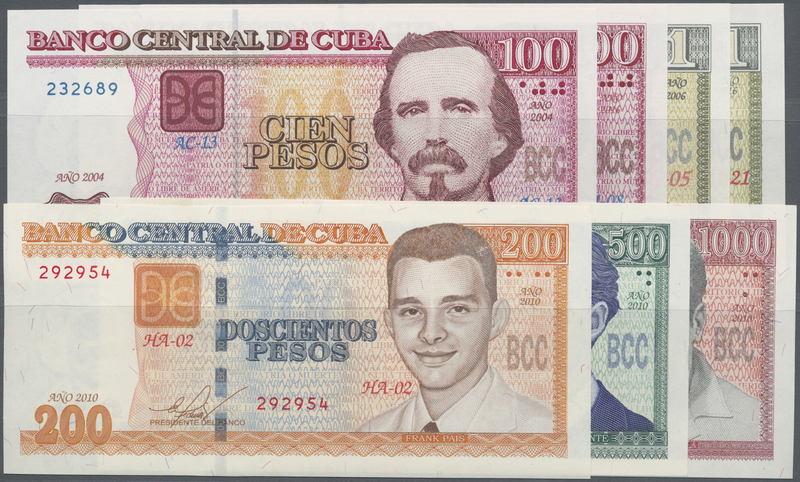 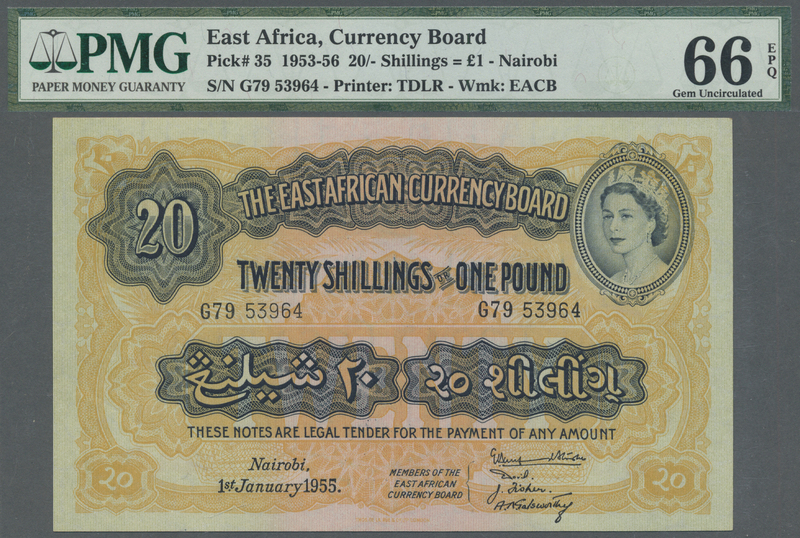 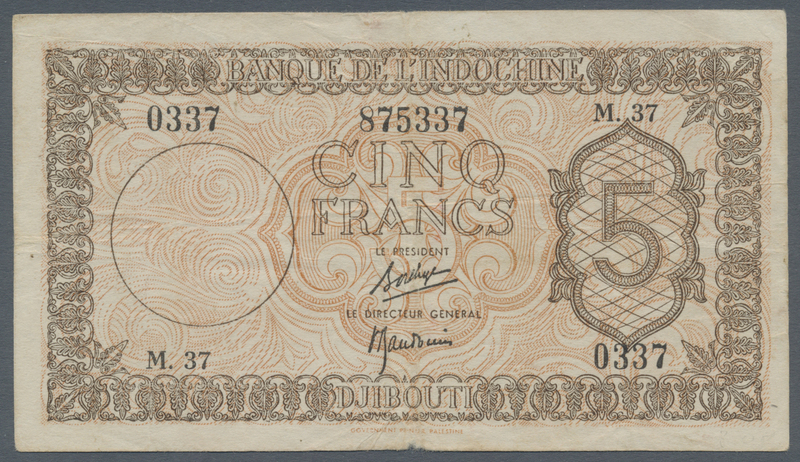 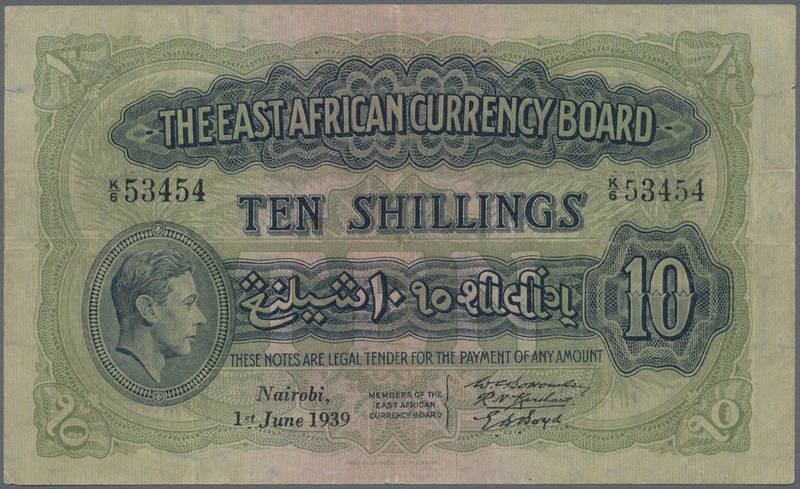 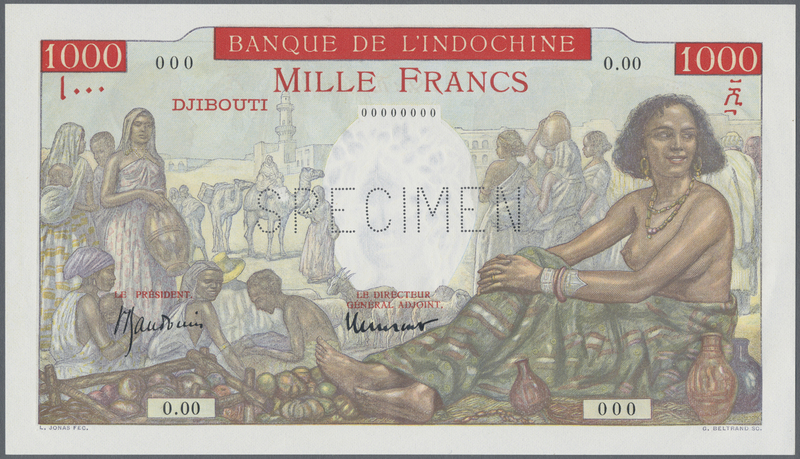 A highly rare type of this already very rare type of banknote. 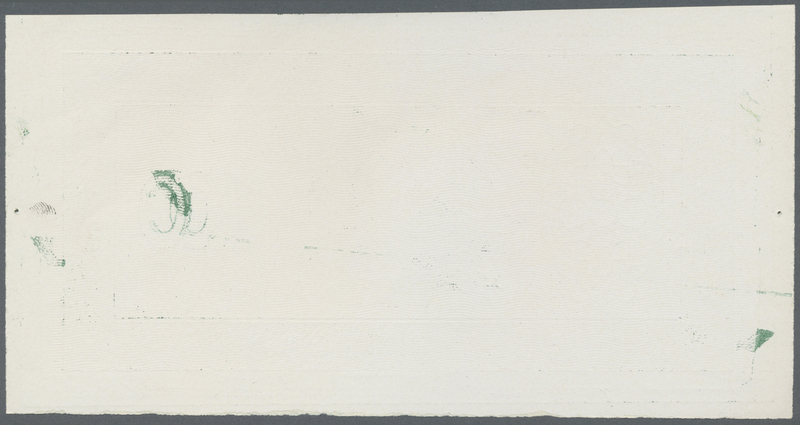 Condition: UNC.